Dogs are a part of our families, so bringing them on vacation is a must! Plus, you can save the trouble of dealing with a kennel while you’re out of town. That being said, it is important to do your research on travel regulations and how to ensure your dog’s safety prior to traveling. By planning ahead, you can maximize your vacation relaxation time and keep you and your pup satisfied. Here are some tips for traveling with your dog! Although you may feel bad about crating your dog, never project your sadness to your dog. This will make them more anxious about the crate and they are more likely to panic. Try to exercise them before placing them in the crate. That way, they can rest readily while crated. Lastly, make sure your dog is comfortable in the crate. Don’t shove them in or take them out. Open the door for them and let them enter and exit on their own so it seems like they are coming and going as they please. It’s not a bad idea to crate your dog while driving. This will minimize any distraction that your dog could cause you while driving. It will also keep them safer if you were to get into an accident. Don’t feed your dog before driving; they can get motion sickness and vomit. Finally, never leave your dog in a parked car, especially when it’s warm out! Even with the window cracked, the car can quickly get too hot and your dog will become dehydrated. Primarily, check the airline’s rules for bringing dogs along on the plane. Some require a health certificate and may have more specific rules and regulations regarding pets. Again, make sure your dog doesn’t start the trip on a full bladder or stomach. Make sure your pup has enough water, though, so they don’t become dehydrated and you can sit back, relax, and enjoy an incident-free ride! Check the hotel’s rules and regulations prior to traveling to your destination. Make sure that the hotel allows pets! Some pet-friendly hotels can recommend parks, hikes, and other dog-friendly activities for you and your furry friend to explore. Try to avoid any excessive barking or howling even in a pet-friendly hotel. Don’t forget your dog’s favorite blanket or chew toy for the road! For extra-anxious dogs, try a little aromatherapy prior to traveling to keep them calm and collected. It may be tempting to medicate your dog with a sedative before traveling, but we don’t recommend it. This could lead to a reliance on pills that you should avoid if possible. As their owner, you are fully equipped to calm your pet down yourself! 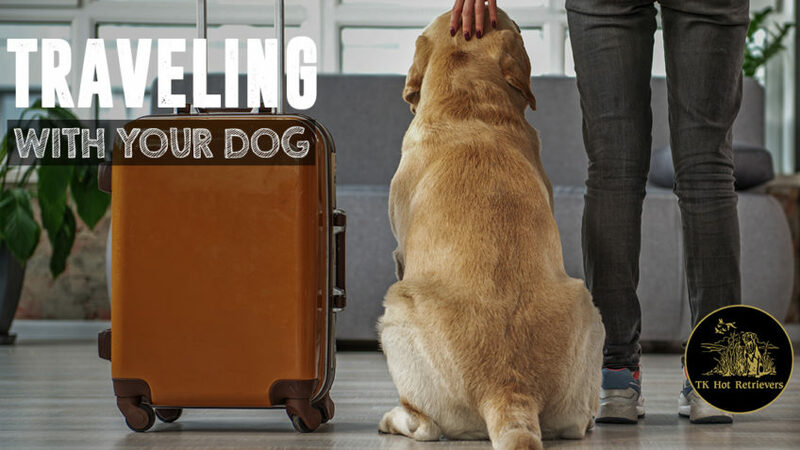 Traveling with your dog should be exciting and relaxing, but be sure to refer back to these tips to ensure their safety and comfort. You can never be too prepared to travel with your furry friend!